Welcome to Cleveland Pet Hospital & Health Center! Cleveland Pet Hospital & Health Center is a friendly and caring full-service veterinary practice dedicated to safisfying the diverse needs of pet owners, companion animals, birds and exotic animals. We are dedicated to providing the most current, comprehensive and compassionate care to our patients together with excellent customer service for our clients, in an atmosphere of warmth, courtesy,and respect for all. 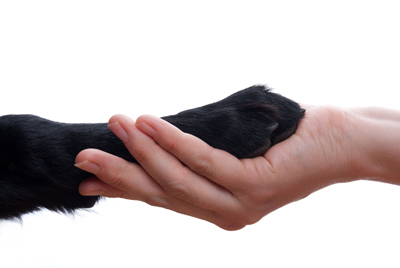 We are committed to supporting and enhancing the loving relationship between you and your pet. We wish to improve the quality of life for our patients by educating our clients about proper health care and disease prevention. We utilize state of the art equipment, advanced medical care and preventative treatment to ensure that all of your pet's health care needs are met. Cleveland Pet Hospital & Heatlh Center's goal is to be a Leader in the field of Family Pet Medicine and our Doctor Els Slurink is committed to bring the latest medical and surgical expertise and the latest and greatest developments in veterinary medicine by attending the national, international, state and local seminars. We have partnered with veterinary surgeons, internal medicine specialists, radiologists, opthalmologists, oncologists, cardiologists and neurologists who can review and assist us with more difficult cases. Cleveland Pet Hospital & Health Center has been providing tender loving medical, surgical and dental care to all of our patients in Caldwell Idaho since 1996. We make sure that your pet receives the finest most comprehensive veterinary care. Our staff of highly skilled and trained professionals are very committed to providing very compassionate, humane and ethical treatment for every pet that comes through our doors. Your pet's health, happiness and well being are our primary goals. At Cleveland Pet Hospital & Health Center we have "Gentle Hands and Caring Hearts", and above all, remember that all animals and pets need to be treated with loving care in every check-up, procedure, or surgery.